genny_0303 I'm a second time buyer. Super sweet seller! She is reasonable, punctual, and very friendly! 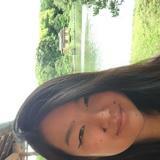 She is very quick at responding and gives honest input on her items. 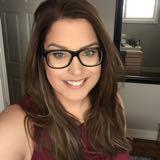 kaylahollick Extremely pleasant transaction, she let me have a good look at the product before purchasing, Speedy replies as well 😊 Thank you! Brand new holiday creme shadows that have not been opened or swatched. Packaging is undamaged. Each are $20, or bundle for $50. If additional photos are needed please message me. 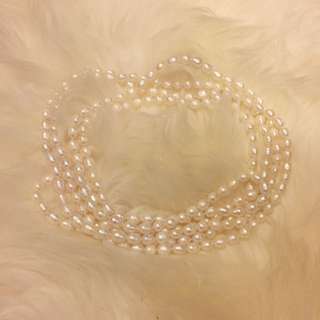 Freshwater White Pearl Necklace 60"
New never worn freshwater white pearl necklace. It is approximately 60 inches long and is clasp-less. There are no notable scratch or flaws. If additional photos are needed please message me. 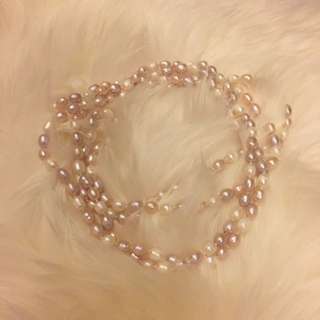 Freshwater Pink Pearl Necklace 60"
New never worn pink toned freshwater pearl necklace. It is approximately 60 inches long and is clasp-less. There are no notable scratches or flaws. If additional photos are needed please message me. 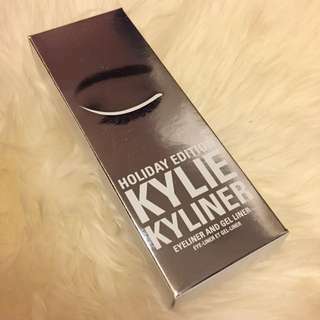 Brand new not used or opened Kylie Cosmetics Gloss in Naughty (limited edition) from the holiday collection. Packaging is not damaged. If additional photos are needed please message me. 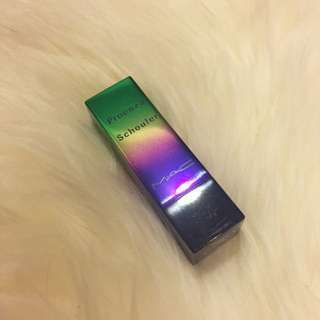 This is a limited edition Lipstick collaboration with Proenza Schouler. Used a handful of times. Has been sanitized for your convenience. There is slight chipping of the finish near the top of the cap. There is no accompanying packaging. If additional photos are needed please message me. Used a handful of times. This has been sanitized for buyers convenience. There is no accompanying packaging. If additional photos are needed please message me. This is a brand new Kylie Cosmetics Eye Brush set (limited edition). The plastic has not been removed, and the bristles have not been touched. There is a slight "new plastic" smell coming from the brush holder, if that bothers you. Please message me if you need additional photos. 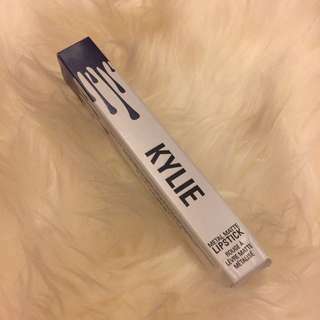 Brand new Kylie Cosmetics metal liquid lipstick in Kymajesty (limited edition). The product has not been opened, used or swatched. 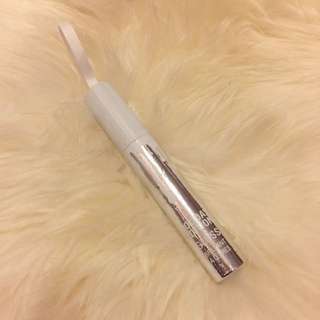 Packaging is slightly crushed at the bottom, however the tube is not damaged. If additional photos are needed please message me. 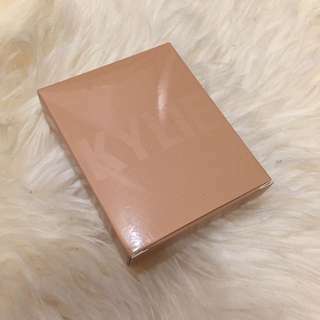 Brand new unused, unswatched Kylie Cosmetics Holiday 2016 Eyeshadow Palette. The plastic covering has not been removed either. Packaging is not damaged. If additional photos are needed please message me. 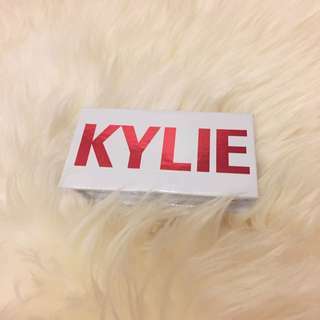 Has never been used, and stain free Kylie Cosmetics Holiday makeup bag. Still has protective covering on the zipper attached. If additional photos are needed please message me. 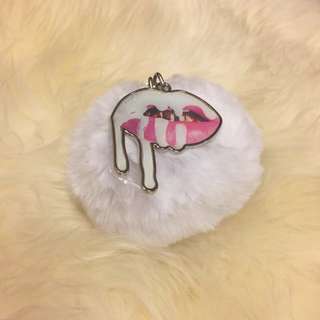 Brand new unused Pom Pom Keychain from Kylie Cosmetics. Still has protective plastic on the metal, and has no stains. Product is undamaged. 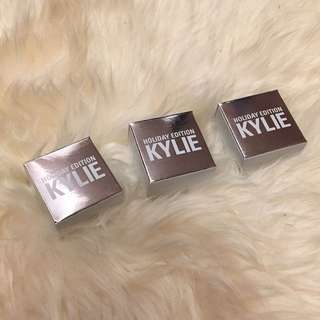 Brand new Kylie Cosmetics Snow Kyliner set. It is unopened and unused. Packaging is not damaged. 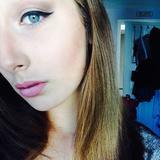 If more pictures are needed please message me. Brand new unused or swatched salted caramel kylighter. The protective covering has not been removed. Packaging is undamaged. If additional photos are needed please message me. Used a couple times, not my colour. Packaging is undamaged. If additional photos are needed please message me. 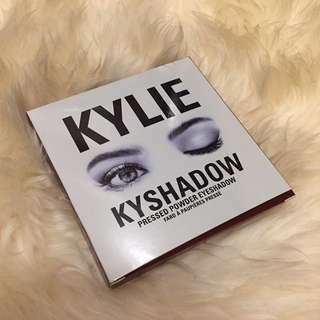 Brand new unused or swatched peach Kyshadow Palette. Protective covering has not been removed. Packaging is undamaged. If additional photos are needed please message me. Swatched a couple colours. Packaging is undamaged. If additional photos are needed please message me. 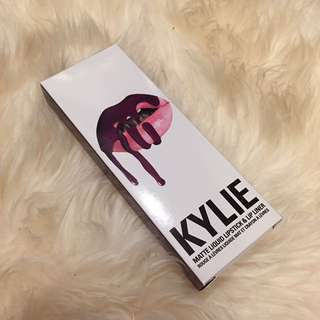 Brand new not used or swatched Kylie cosmetics liquid lipstick in the birthday edition packaging in the colour Leo (Limited edition). 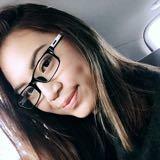 Relisting because buyer changed her mind. The packaging is undamaged. If additional photos are needed please message me. 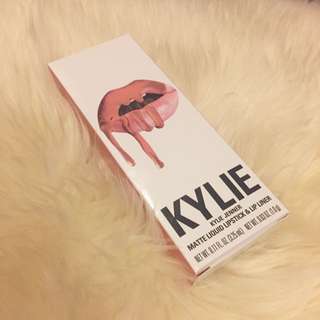 Brand new not opened or used Kylie Cosmetics Apricot Lipkit. 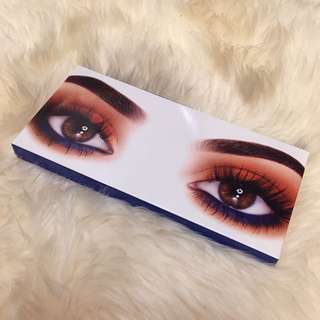 I accidentally ordered this in the peach kit! Packaging is not damaged. If additional photos are needed please message me. Brand new unswatched or used Valentines Eyeshadow duo in Sweet Heart. The plastic cover has not been removed. 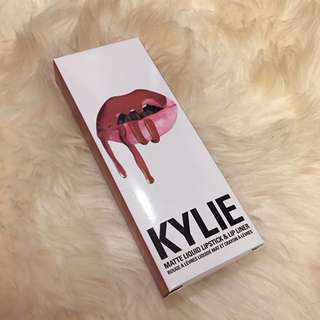 If you desire the packaging I can provide it however it will not include the mini liquid lipsticks. If additional photos are needed please message me.